Marketing is changing right before our eyes; moving from the previous era of building customer relationships and engagement, brands will now be moving into the next era by creating content that provides experiences and purpose. 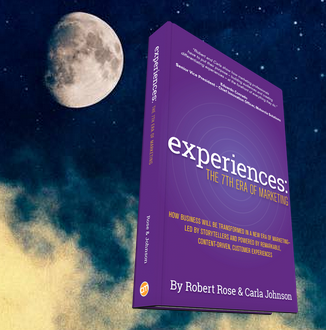 Chief Strategy Officer at Content Marketing Institute, Robert Rose and co-author Carla Johnson‘s new book ‘Experiences: The 7th Era of Marketing’ is an interesting and fascinating read. Today, Robert speaks on what’s changed in marketing, why experiences are now king, the SAVE model and a play on the classic Four P’s of marketing in this episode of your ‘A Slice A Day’ REWIND.